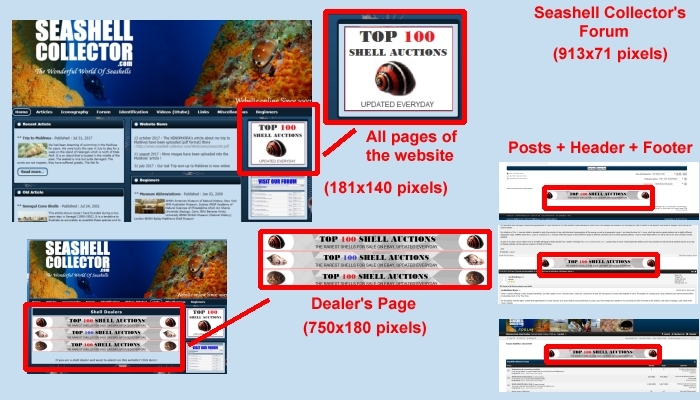 Advertising on Seashell-Collector.com website and on it's forum is possible and it's really cheap. !! 39 000 true Visitors last year at Main Website and 3 000 at Forum (google analytics source) ! !